Are the old peepers failing you? Finding it hard to read small print? Well, you’re in luck. 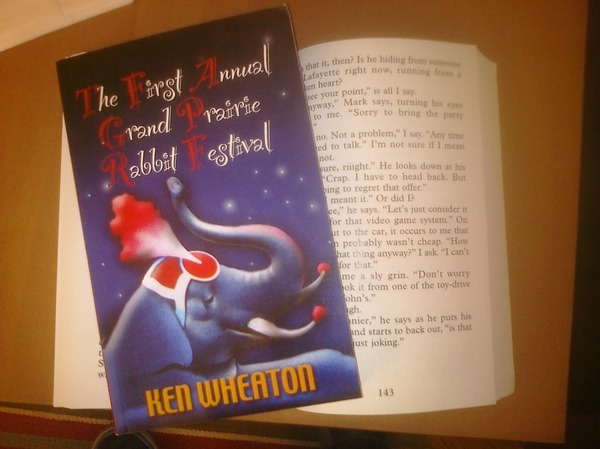 Now you can read The First Annual Grand Prairie Rabbit Festival in large-print format. Now all we need is an angry ALL-CAPS/TEXT version (Y U SUCH A MO MARK?) and maybe a LOLCats version (Priestin’ Ur doin it rong.). Priestin’ Ur doin it rong made me lol. That right there is the Rinkworks book-a-minute summary.